Robert Maillet plays an assassin in Netflix's Polar, an adaptation of a dark comic series by the same name. 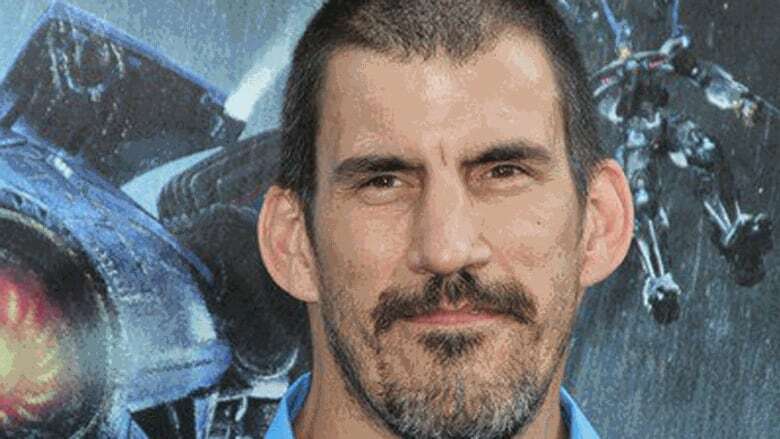 New Brunswick actor and former wrestler Robert Maillet plays a cold-hearted killer in Netflix's upcoming action film, Polar. The film is an adaptation of a comic series by the same name. "I'm a killer and the breakdown in the script said [my character] could have been a wrestler, but killing people pays more," Maillet said. The seven-foot, Sainte-Marie-de-Kent man has performed in several Hollywood movies, including Deadpool 2, 300, Sherlock Holmes and Pacific Rim. In Polar, Maillet plays Karl, a member of an elite assassin squad trying to hunt down a retired killer "because he's a liability to the company that we work for." In the film's trailer, a sinister voice says: "As you know, we manage the investments of our employees. If a former agent dies after retirement, their eight million dollars goes back to the company." Dutch actor Mads Mikkelsen plays Duncan Vizla, the retiring agent Maillet's character is trying to kill. Maillet said he and Mikkelsen met four years ago at a comic convention, where they were represented by the same convention agent. "It was great to have a relationship with him before the film," Maillet said of working with Mikkelsen. As for the rest of the cast, Maillet said the camaraderie onscreen exists backstage as well. Filming was done mainly in Toronto and surrounding areas. Scenes at a cabin in the woods were filmed outside the city last Februrary, Maillet said, and used artificial snow because of the low snowfall last year. Maillet said he had to have gun training the week before filming. "We had to know how to use a gun properly and safely of course, so it looked like we were professionals using guns. It was fun, a lot of fun. Also badass? Maillet's look for the film, which includes a tuque worn at all times and braids. "We decided at the last minute what look I should have," he said. "I looked like Willie Nelson's younger brother." The film opens on Netflix on Jan. 25, but Maillet will be bringing his daughter to a special premiere in New York next week. "It will be the first time I will see the film with the cast."